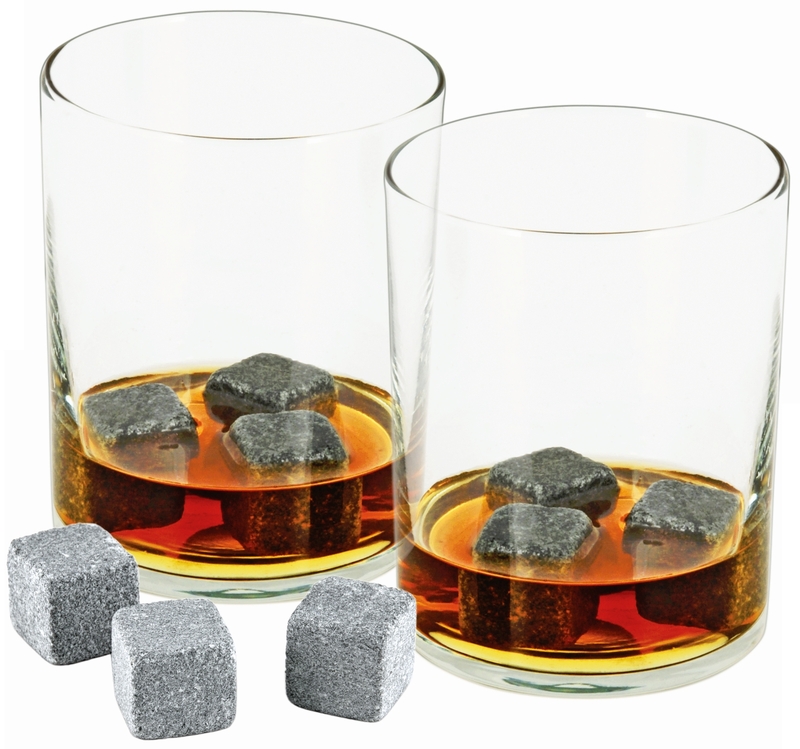 On-the-rocks takes a whole new meaning with Glacier Rocks soapstone ice cube set. This set of nine cubes from True Fabrications is created in Finland using the highest quality soapstone, and includes a storage pouch. Soapstone is an inert, soft stone, which means that these cubes won't scratch your glasses or alter the flavor of your drinks. Best of all, once these cubes are frozen they'll keep your drink cold without watering it down, making them ideal for high-end scotches, whiskys, martinis and any of your other favorite drinks. The cubes are dishwasher safe, but only require a rinse under water to clean. True Fabrications recommends freezing the cubes two hours before use, and using three cubes per glass for the best results.